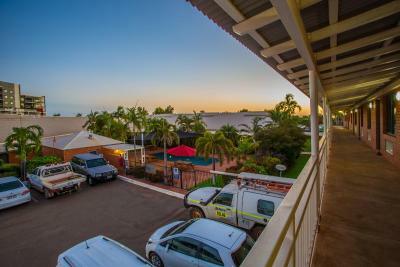 Lock in a great price for Karratha Central Apartments – rated 8.4 by recent guests! Close to shops and restaurants. Bed comfortable. Staff friendly. Just a great reception and everything organised. 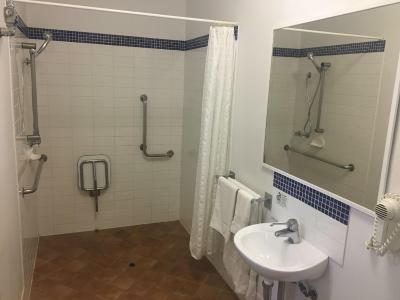 Close to the best facilities available in the town. Customer service was great, there was no hassle to move us to a room closer to where our car was parked. While the overall hotel is a little dated, my room was clean, the bed was very comfortable & the hot water in the shower was great! having a pool on-site was an extra, especially given the warmer weather. Unfortunately, I didn't have time to use it, but it looked very inviting! 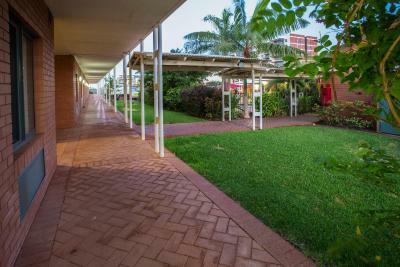 The location of the hotel is perfect as it is within easy walking distance of great cafes, bars, the shopping centre & the new Red Earth Arts Precinct, where our conference was held. Very new building, super clean. In the middle of town but quiet. Clean, comfortable and conveniently located. Have stayed here a number of times in the past years, and have always been satisfied with my choice. Staff are friendly and helpful. 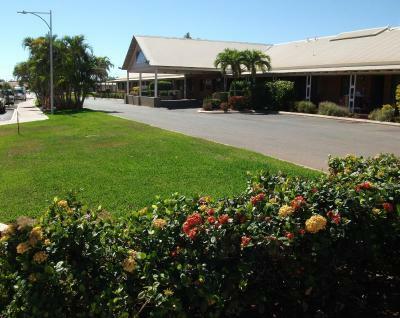 Karratha Central Apartments This rating is a reflection of how the property compares to the industry standard when it comes to price, facilities and services available. It's based on a self-evaluation by the property. Use this rating to help choose your stay! 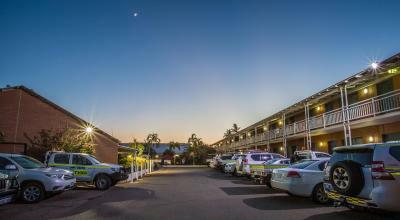 Karratha Central Apartments is located in the New Town Quarter, in the Center of Karratha, within walking distance to shops and restaurants, including 7 with charge-back facilities. Free WiFi and free on-site parking are provided. 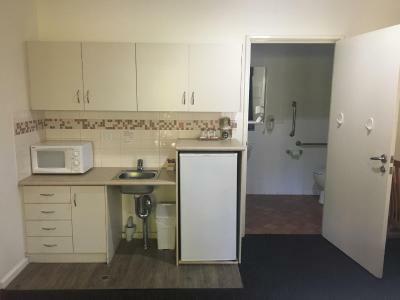 Each air-conditioned room at 4-star Karratha Central Apartments features a kitchenette and an private bathroom, while all 1-bedroom self-contained apartments have both seating and dining areas as well as fully equipped kitchens and laundry's. Facilities offered is a barbecue area, set within lush green gardens with a resort-style swimming pool. A coin operated guest laundry is also located on-site. 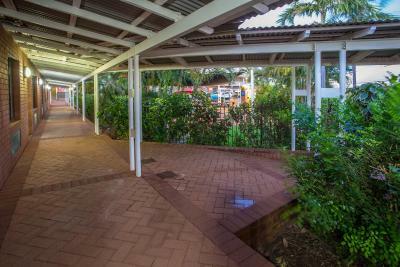 Karratha Visitor Center is 2 minutes’ drive away. The hotel is also 2.4 mi from Nickol Bay, 4.8 mi from Route 1 NW Coastal Highway, and 27 minutes’ drive from Deep Gorge Aboriginal rock art site. 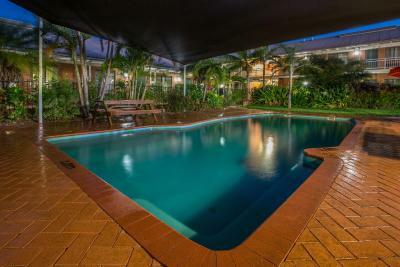 This property also has one of the top-rated locations in Karratha! Guests are happier about it compared to other properties in the area. 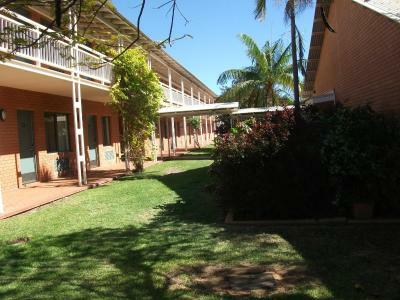 When would you like to stay at Karratha Central Apartments? This queen room has a queen bed, kitchenette and private bathroom. This twin room features a private entrance, electric kettle and kitchenette. This apartment features a electric kettle, flat-screen TV and kitchenware. 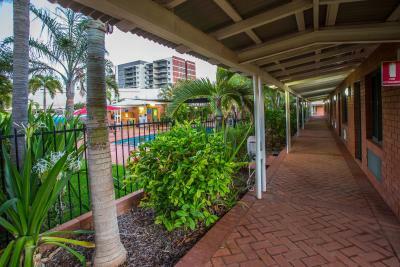 House Rules Karratha Central Apartments takes special requests – add in the next step! 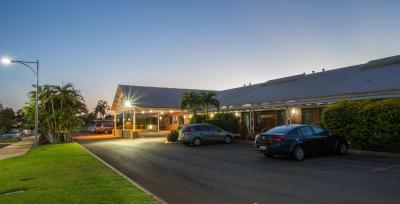 Karratha Central Apartments accepts these cards and reserves the right to temporarily hold an amount prior to arrival. Please note that there is a 1.15% charge when you pay with a Visa or Mastercard credit card. Please note that there is a 2.1% charge when you pay with an American Express. Very noisy aircon, super hard bed! Aircon was a bit noisy. Clean, modern room. Friendly staff. The bathroom fan cover needed a good clean, but apart from that minor issue, nothing! The hotel was perfectly fine for the five nights accommodation for the duration of my stay and the staff were pleasant & very accommodating! Small connection door to next room.